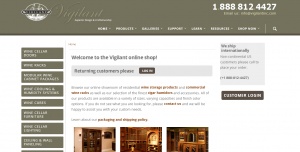 In early May I helped launch the new website for Vigilant Inc. of Dover, NH. The site is built on a custom PHP framework with a ZenCart powered shop. The new look is based on a modified version of ThemeNectar’s Salient WordPress Theme, a responsive multi-purpose business theme. One of my jobs was to streamline the template code as much as possible to a get decent PageSpeed score. In the template I found two stylesheets had 95% unused classes/styles. Another stylesheet contained two copies of font awesome, and both were very old. My point. Before you fall in love with an off the shelf WordPress Template, run it thru Google PageSpeed Insights. Or even better, ask me to review it for you. Previous Previous post: Anne B. Parsons, PhD.